There’s Still Time to Order Cookbooks! If you haven’t already picked one up (or two or three) there’s still time to order a Westheights Cookbook! For only $15 you not only have a great collection of hand-selected, professionally printed recipes you get to help send our Sr. High students to YouthQuest. YouthQuest is a fantastic, 4 day conference bringing all the youth groups and ministries of the Brethren in Christ Church in North America. This year’s YouthQuest is in Baltimore, MA and takes place over Dec. 27-30th. Buying a cookbook helps us reduce the cost of this event to our students, plus you don’t have to worry about getting flour and sugar all over your iPhone or Blackberry screen! We have gotten GREAT feedback about this cookbook. It’s well-designed and easy to use, and includes tried and true recipes from members of Westheights. Each submission also includes a “personal note” from the contributor, outlining what they love about that recipe. Get to know people in your church better while preparing to make something delicious! You get recipes for delicious fare like Hot Bacon Cheese Dip, Instant Pesto Torta, Extra Sizzling Tomato Soup, Easy Company Chicken, Chiffon Pumpkin Pie, Chocolate Cherry Jewel Bars and Absolutely Amazing Milk Chocolate Caramel Squares. Yum! Just $15 each; order 3 or more and pay only $13 each. 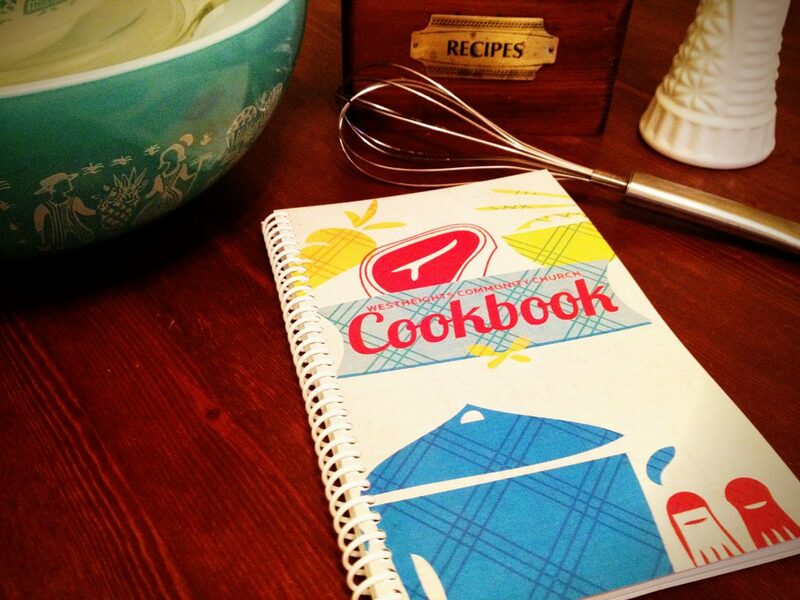 Cookbooks will be arriving in November. Copy and paste the form below into an email and send it off to Gillian Fenske at gillianfenske@westheights.org (or pick up and fill out a form on a Sunday morning). Completion of this form is a commitment to purchase the number of cookbooks indicated. DEADLINE FOR LAST ORDER IS SUNDAY, NOVEMBER 4TH. We will NOT be ordering extra cookbooks, so be sure to fill out a pre-order form! Please note that this is a reprint of the Westheights cookbook we created last year.